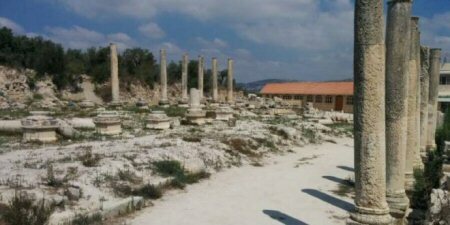 A group of Israeli settlers, on Monday, stormed a historic archaeological site in the town of Sebastia, near Nablus, northern West Bank, under heavy protection by the Israeli army. The mayor of Sebastia Mohammed Azem, told WAFA that a number of settlers, broke into the site amid the protection by the army, who closed the area for any other visitors. He added that confrontations broke out in the area, following the visit, while Israeli soldiers fired teargas towards the protesters. 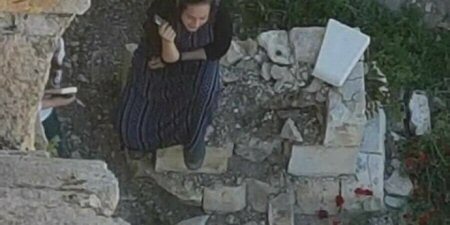 In a separate incident, two Israeli settlers, in the early Monday morning hours, have reportedly damaged a grave in Bab Al-Rahma historic Islamic cemetery, adjacent to the eastern wall of the Al-Aqsa Mosque, defiling it. According to media reports, the settlers were screaming racist slogans, insults and hatred while they were attacking the grave. PNN notes that Israeli occupation, and many of its organizations continue to target this cemetery, after having cut off a big part along the Al-Aqsa wall; to found the “National Park” project which would eventually stop burial of Muslim Jerusalemites in the cemetery.